Who Is The Only Actor To Appear In Star Trek, Star Wars, and Doctor Who? Which Video Game First Inspired Widespread Controversy? There is only one actor the world over who has achieved the Sci-Fi trifecta of appearing in the three biggest Sci-Fi franchises on earth. 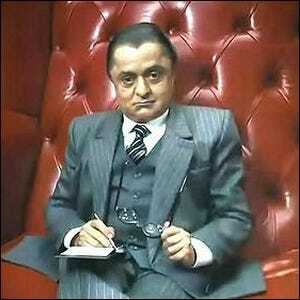 Deep Roy, best known to modern movie goers as the face of the Oompa Loompas in Tim Burton’s 2005 Charlie and the Chocolate Factory reboot of the Willy Wonka franchise, has appeared in Star Trek, Star Wars, and Doctor Who. He appeared first in Doctor Who, playing Mr. Sin in the 1977 story arc “The Talons of Weng-Chiang”. He then appeared in 1983’s Star Wars: Episode VI – Return of the Jedi as Droopy McCool. Finally, he sealed the trifecta with his 2009 Star Trek appearance as Keenser. In addition to his roles within the three mega franchises, Roy has always appeared in other Sci-Fi movies and shows such as The X-Files, Planet of the Apes, and Flash Gordon.